Many of our cables are built to order, so the quantity and complexity of the order sets the time it takes to ship your order. EHS will warranty any cable we manufacture to be free of workmanship defects for 2 years. To make a claim contact us with the details and we will provide info on the process and how to ship us the cable. We will examine it to determine the type of failure. If determined to be a workmanship defect, we will repair the cable and ship it back to you at our cost. If it is a non-workmanship defect, we will provide a quote for repair and shipping back. Most orders are ready to ship within 1 business day but because a few products take a bit longer be sure to note the "Estimated Shipping Time" info next to the "Add to Cart" button on the product page (image below). Most items are shipped via USPS Priority Mail 1-3 day service. 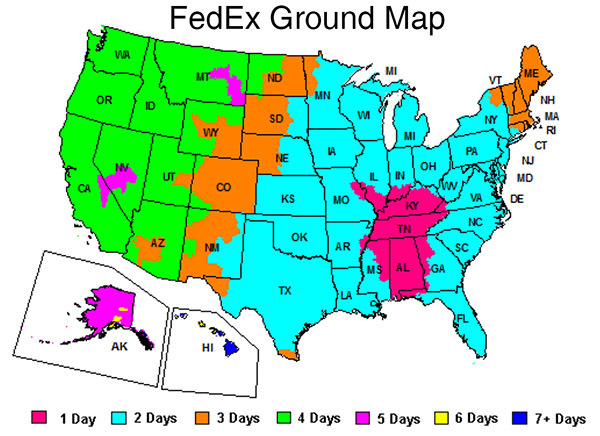 Larger/heavier orders ship FedEx. We also have an "Economy" shipping option which ships by USPS First Class Mail 1-3 day service. This is limited to 13 oz. and will not show as an option if your order is too heavy. On certain occasions we may drop ship from a vender and they typically use UPS or FedEx. We accept orders for all items from United States, Canada and Mexico. All orders from outside the United States must be pre-paid in U.S. dollars and are subject to normal import duty, taxes and customs clearance charges in the destination country. International shipping duties and taxes are the purchasers' responsibility; EHS has no control over these charges and cannot predict what they may be. Customs policies vary widely from country to country; you should contact your local customs office for further information. If purchaser refuses shipment due to duties and taxes, the purchasers will be liable for any costs incurred by EHS. EHS holds the right to refuse orders from non US customers, if done so you will be given a full refund of your order. Order must meet the $49 minimum before taxes and shipping. You cannot combine multiple orders for free shipping. Shipping is automatically calculated in cart. It is limited to economy shipments. Only available to the continental US (excluding APO/FPO). Certain items are marked as excluded from free shipping. Canceling items before shipment may affect free shipping. Not available on prior orders. If item is returned the shipping charges will be deducted from refund. Terms subject to change without notice. We are now accepting international orders though the website. We have the right to refuse any order for any reason. If you paid with PayPal with a verified account and address with shipment to that same address, we would expect very little cause to refuse that order. We only accept international orders for our custom cables; we will not ship lighting equipment (cables not included), sound equipment, or pre-made RapcoHorizon snakes internationally. If you have a product in your Shopping Cart that we do not ship internationally the site will not provide a shipping estimate. We only ship international using USPS and the website only estimates shipping based on USPS rates. 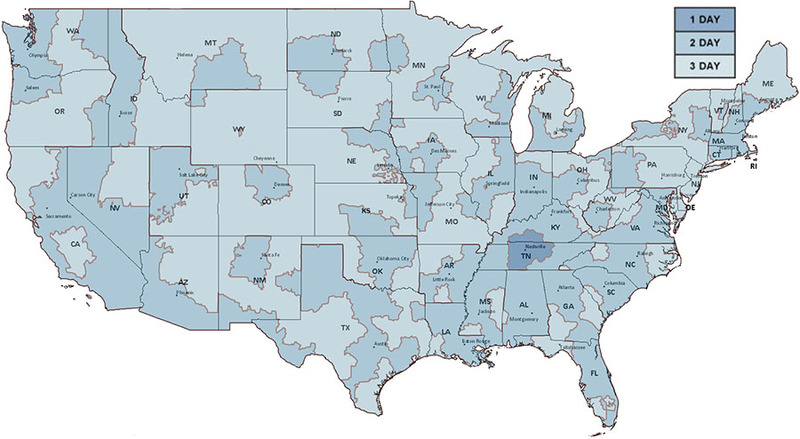 Transit time for shipments by USPS Priority Mail should be about 6-10 days. Because USPS shipping quotes use box size as well as weight, there is the possibility that the quote will be off and we cannot ship for the amount paid. If this happens we will contact you and request the new amount at which time you will have the option to cancel the order if you are not happy with the new amount. IMPORTANT: International shipping on the site is a new feature. It has been thoroughly tested, but if you have any trouble or can't get shipping rates and have followed the above guidelines, please contact us. If your country is not listed, please contact us. We always will ship a product as quickly as possible. See product page for Estimated Shipping Time for each item; this is for reference only due to ever-changing inventory. If an item is backordered the entire order is usually held unless special circumstances apply. Priority is given to orders with Express shipping. 1-2 Days: Generally in-stock items that can be quickly built or shipped. 2-4 Days: Generally in-stock items but might require more build time. 1 week: Varying stock but generally available at short notice (most things don't take 1 week to ship). 1-2 Weeks: Varying stock and requires special order components for build (most things don't take 1-2 week to ship). Please call to check if anything you need is time critical or if you need a more accurate estimate of a ship date. The time listed is for reference only and does not indicate current stock or availability, or imply a guarantee. We are required to charge sales tax on all orders shipped to the state of Tennessee. If you are a church, school or other business with tax exempt status in the state of Tennessee, please contact us for assistance with your order. We accept Visa, Master Card, Discover Card, American Express, PayPal, and check or money order. Orders are processed once payment is received. All returns must be pre-authorized. No return will be accepted without prior authorization. We reserve the right to refuse return of certain high value items or large quantity of single items. The majority of the time, issues can be resolved without having to ship the item back. This saves everyone time and money. Items to be returned for a refund or exchange for a different item must be received back within 20 days from the date of purchase. Taking into account shipping, this allows about 15 days to return the item for a refund. At our discretion, we may extend the deadline on a case by case basis. After 30 days, no refunds or exchanges will be authorized. Any warranty concerns must be addressed to the manufacturer. Returns for reasons other than the fault of EHS will be charged a restocking fee (usually 10-25%) plus the non-refundable shipping expense. All returns must be in the original packaging and in an unused condition. If the item is missing packaging or is in a used condition a higher restocking fee will be deducted from the refund. All return shipping costs are your responsibility. Any item that is attempted to be delivered with charges due will be refused. EHS will cover costs to have a replacement item delivered. If an item shipped to you is truly the wrong item and it was our mistake, we will issue a call tag with a package delivery company. They will pick the package up and ship it back to us at our expense. If there is an order discrepancy, (received the wrong item, received the wrong quantity, or other problems), it must be reported within 3 days of package arrival. If there is any shipping damage or an item is dead on arrival or defective it must be reported within 3 days of package arrival. Please include in the initial correspondence whether it is shipping damage or DOA or defective. Applies to more specialized items; follow the Standard return policy but with a higher restocking fee of 20-25%. Generally for custom built cables; basic cables can be returned at 20-50% restocking fee; however cables including custom text labels, short, non-reusable connectors or unusual configurations are non-returnable. To protect our low prices available to everyone, and in order to offer highly specialized and/or customized items that very few people have need for, we have to restrict the returns of those certain items. Why a restocking fee? We do not want to profit by selling products and charging high restocking fees. However, restocking fees become necessary in order for us to keep our costs and prices down. The majority of customers never return items. When items are returned in non-new condition, we have to sell them as used and below costs. If not paid by those who returned them, the additional costs have to be "shared" by others, which we do not believe to be fair. We choose to keep our prices down by also charging a restocking fee to non-defective, non-fault returns to cover costs associated with the initial order and then the return. We try to keep the restocking fee as low as possible and in line with the costs associated. If an order ships with free shipping, shipping expenses plus the restocking fee will be charged. In the rare event that there is an error in shipping by us (either wrong item shipped, DOA, or missing item) replacement items will be shipped the same shipment method originally paid for. Once an order is completed by the customer, it is received and may be processed as quickly as the next business hour. Therefore, change or cancellation can be very difficult. We will make every attempt to make the necessary changes to your order, however we do not guarantee that your order will be changed or canceled. Once your order is shipped or if your order includes custom cables that have been constructed- it may be returned by the applicable return policy (above).